"Our prayers and positive energy are sent your way! " 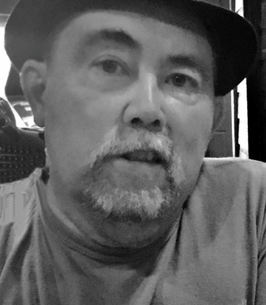 John W. Norris, 62, Lee’s Summit, MO passed away Oct. 5, 2018. Memorial services will be at 10 am, Wed, Oct. 10 at Speaks Suburban Chapel, 18020 E. 39th St., Independence, MO 64055; cremation. Visitation will begin at 9 am before the service at the chapel. John was born July 13, 1956 in Cumberland, MD and graduated from Allegany Community College with a degree in forestry. He worked for Aquila (KCP&L) in Kansas City before retiring in 2008. He was an avid hunter and fisherman who built his own bows to hunt deer and elk in Colorado and Montana and havalina in Texas. He was also a black powder hunter and deep-sea fisherman. He was a Past President of the Lake Lotawana Optimist Club. He was a Royals and Chiefs fan. John was preceded in death by his father Charles “Chuck” Norris. He is survived by his wife of 40 years Kay Norris, of the home; daughters Kaleena Norris, Lee’s Summit, MO; Melanie Brown and husband Matt, Grain Valley, MO; Erin Duffin and husband Ben, St .Petersburg, FL; mother Irene Norris, Lee’s Summit, MO; sister Kathy Whitacre and husband Randy, Short Gap, WV grandchildren Bralynn, Madison, Isla and many other family members. To plant a tree in memory of John William Norris, please visit our Heartfelt Sympathies Store. Dear Doris and Family, You are all in our thoughts and prayers through the lost of John Boy. He and Tony go back 40 years and we regret not being there for the service, due to surgery on Tuesday. If there is anything you need, please contact us, 816-824-9437. So sorry to hear of Johns passing. Praying for your family in this difficult time! John was a pleasure to work with and considered a friend We know John will still be hunting,fishing and making bows in Heaven. Our prayers and positive energy are sent your way!